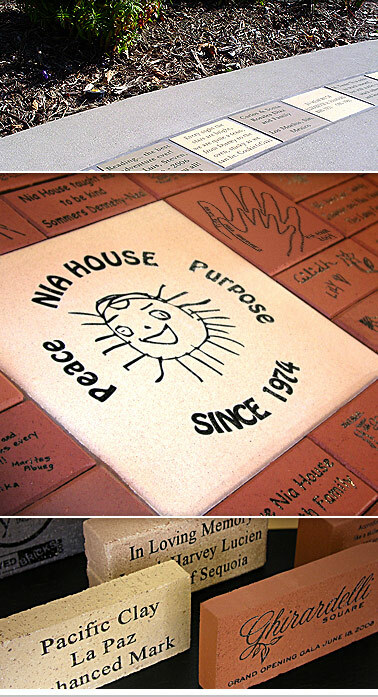 When designing laser engraved bricks and laser engraved tiles for your project, you have many options to consider. With our wide variety of colors, sizes, fonts, and graphics, the possibilities are endless. Click on the links below to explore our brick design center. You’ll see some of the options you can utilize to design the perfect laser engraved product for your capital campaign or project. Please also visit our gallery to view beautiful design examples and completed campaigns utilizing laser engraved brick and laser engraved tiles.